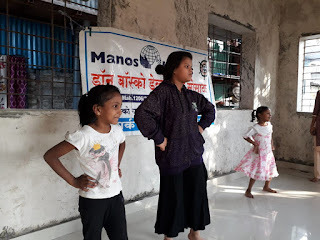 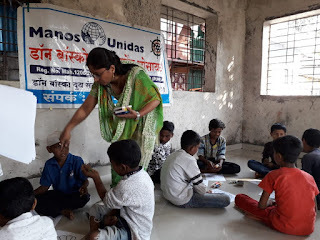 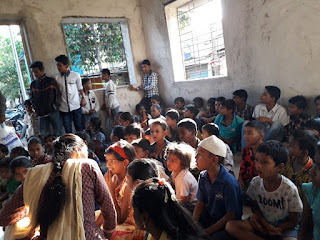 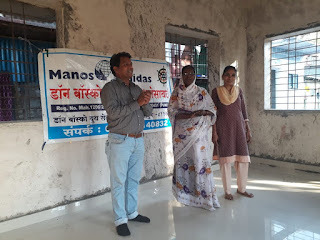 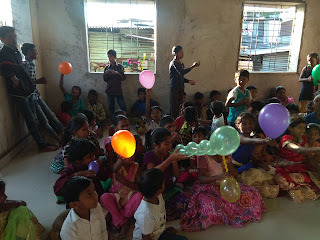 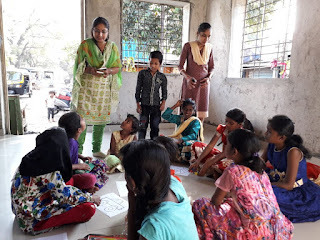 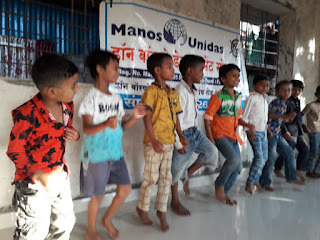 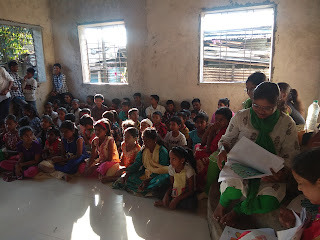 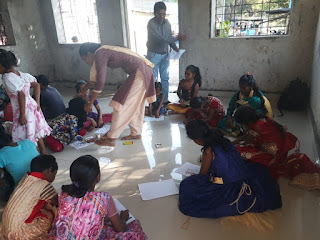 15-November-2018, Koregaon Park (Pune): The Don Bosco Development Society (DBDS), Pune organized children’s day celebration in Rajiv Gandhi Nagar slum in Yerwada. 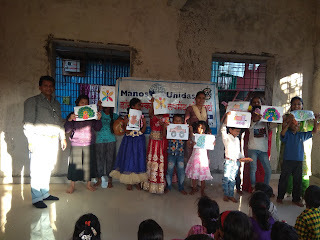 The celebration was held under the aegis of ‘Women Empowerment Project’ supported by Manos Unidas, Spain. 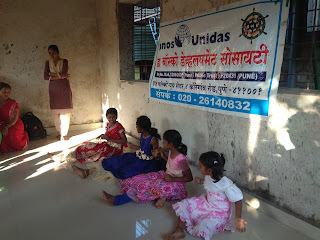 The program started at 3.00 pm and continued till 5.30pm. 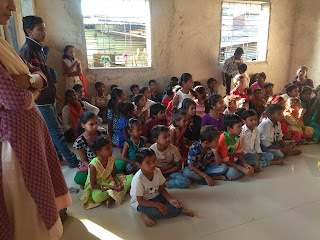 Mr. Nagsen Chavan (Coordinator - DBDS) welcomed all the participants and informed them about importance of children's day. 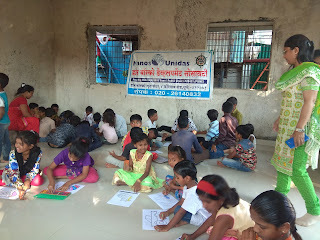 77 children participated in this program. 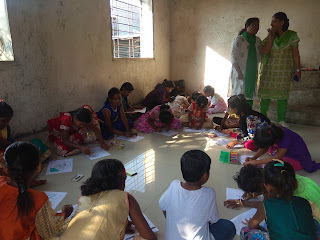 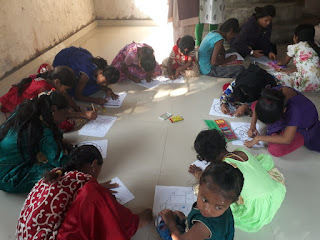 On this occasion drawing competition and dance competition were held for the children of remedial class at Rajiv Gandhi Nagar. 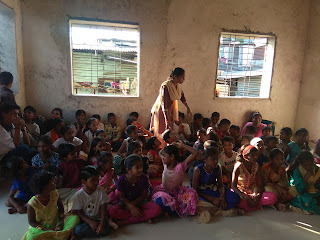 Mrs. Chhaya Sarvade (Part-time teacher) took initiative for this celebration. 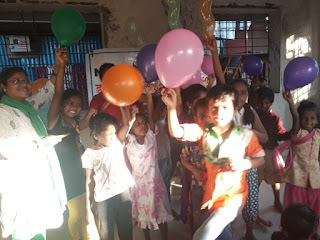 Children had great fun and enjoyed it to the full. 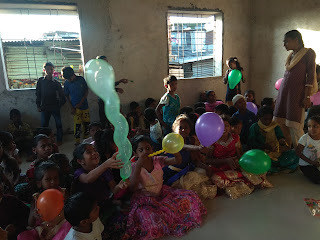 Chocolate, balloons, and small pouches were distributed to the children.